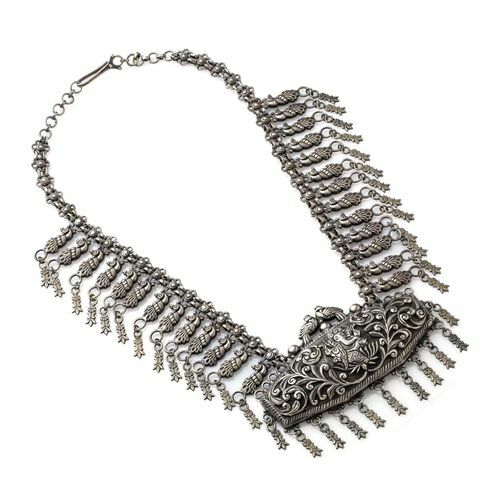 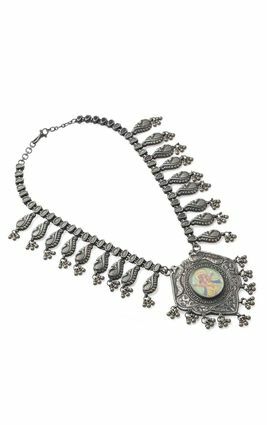 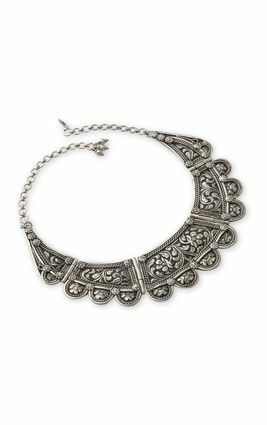 A hand engraved Ganesha pendant constructed artistically out of oxidized silver sits as the centrepiece of an ornate silver chain with delicate peacock motifs across its length. 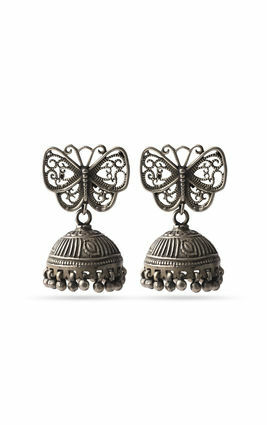 Delicate jhumki style hangings lend the jewel an Afghani vibe. 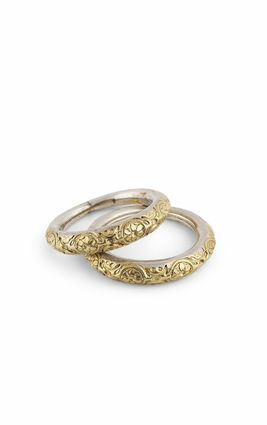 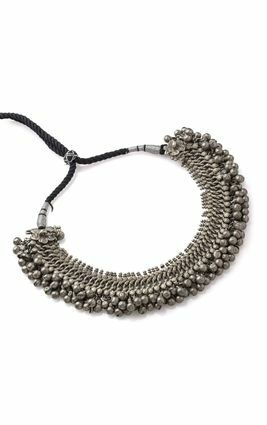 The best of two very different worlds meet and blend as one, in this necklace. 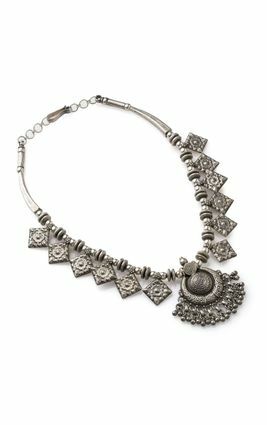 A hand engraved Ganesha pendant constructed artistically out of oxidized silver sits as the centrepiece of an ornate silver chain with delicate peacock motifs across its length. 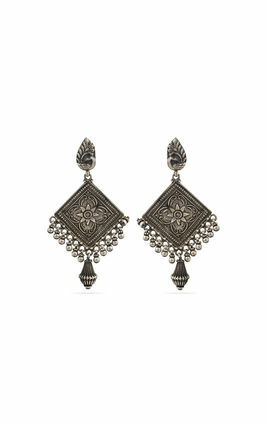 Delicate jhumki style hangings lend the jewel an Afghani vibe. 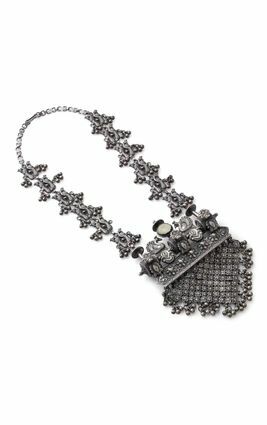 The best of two very different worlds meet and blend as one, in this necklace.